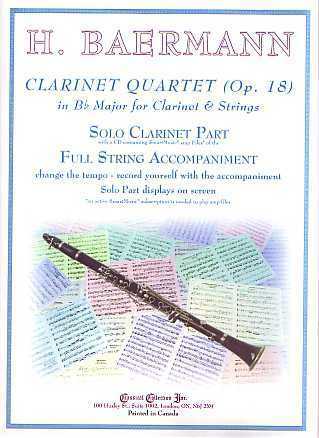 Baermann also composed many works - concertos, quartets and 3 quintets for clarinet & strings (published in 1820-1821): Op. 19 in Eb Major, Op. 22 in F Minor and Op. 23 in Eb Major (with two “ad libitum”, i.e., optional, Eb Horn parts).